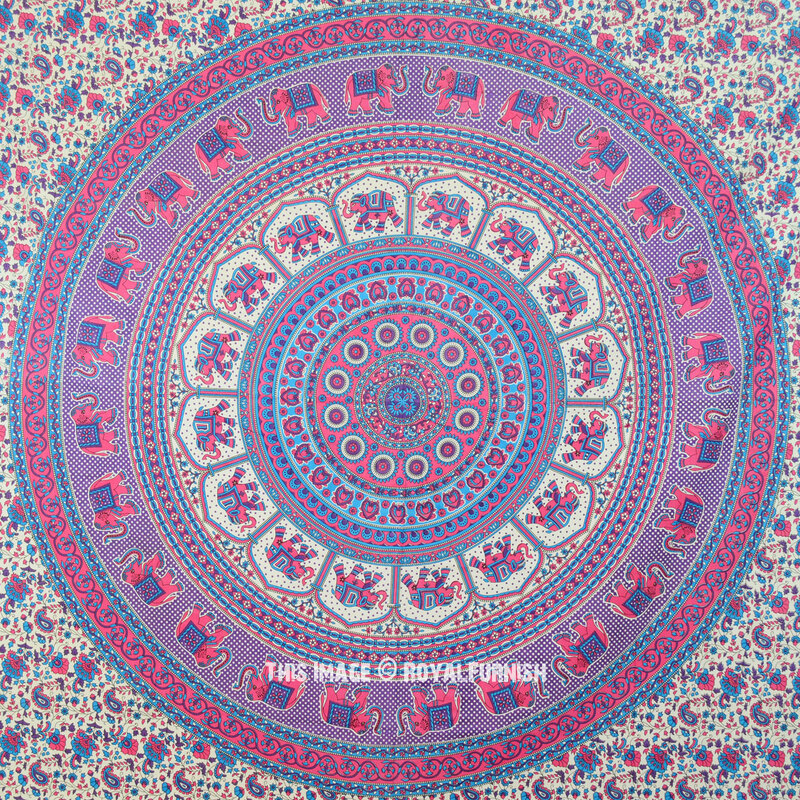 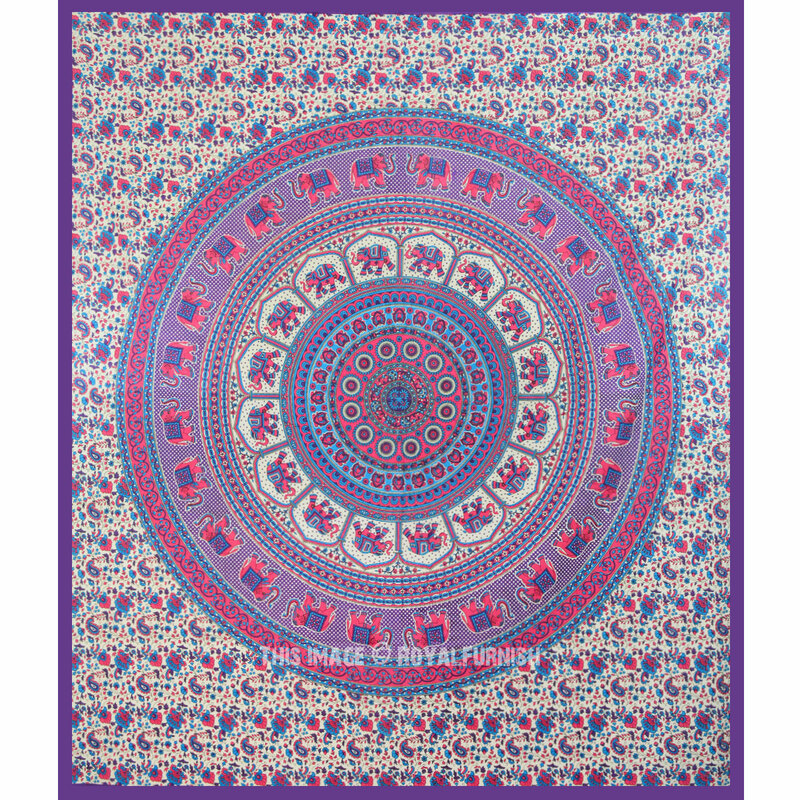 It is beautiful Elephant Mandala tapestry bedspread to give a royal touch to your home interior. 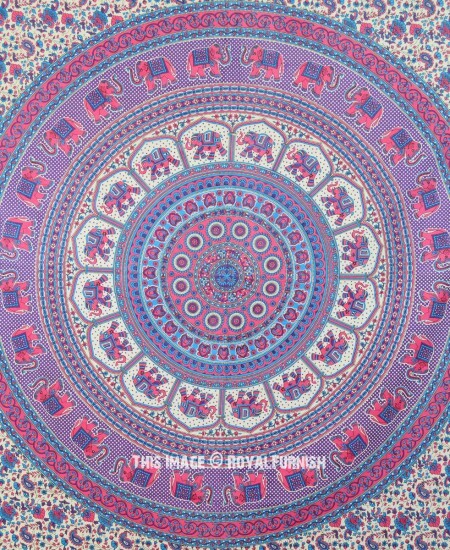 This bedding sheet consist vibrant color, round circle in the circle and stunning design which gives a new look to your home. 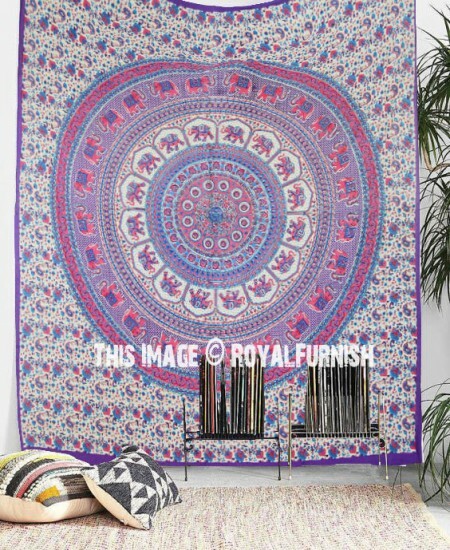 It can be used in different ways to decor home like as bedspread, tapestry, wall hanging, Coverlet, sofa cover. 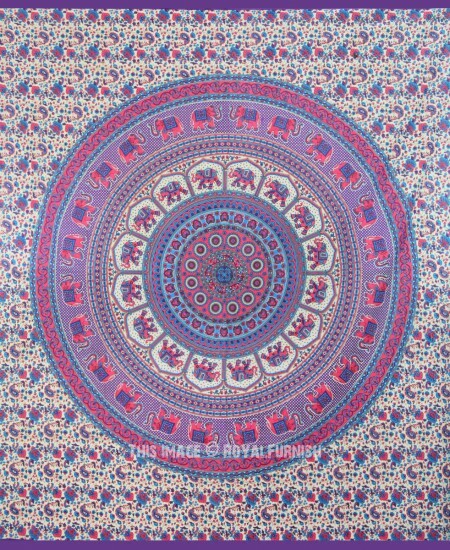 It is pure cotton bedding sheet bedspread which is perfect example of Rajasthan screen printed bedspread bedding sheet. 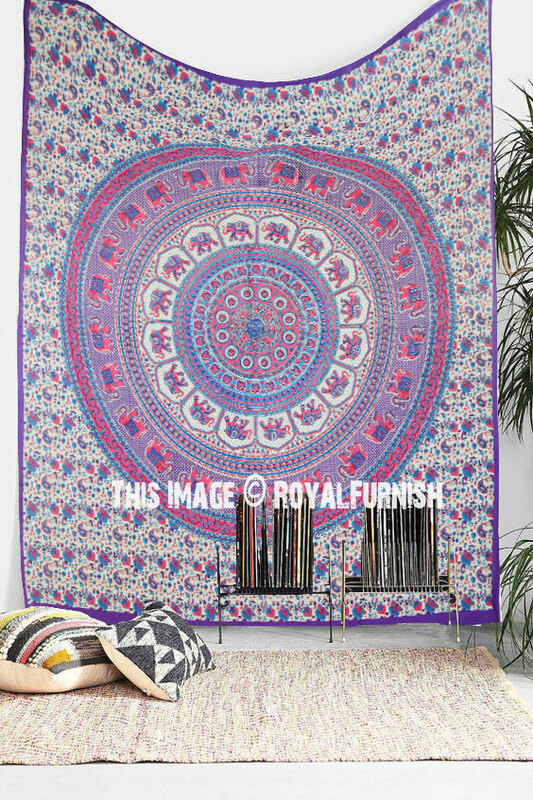 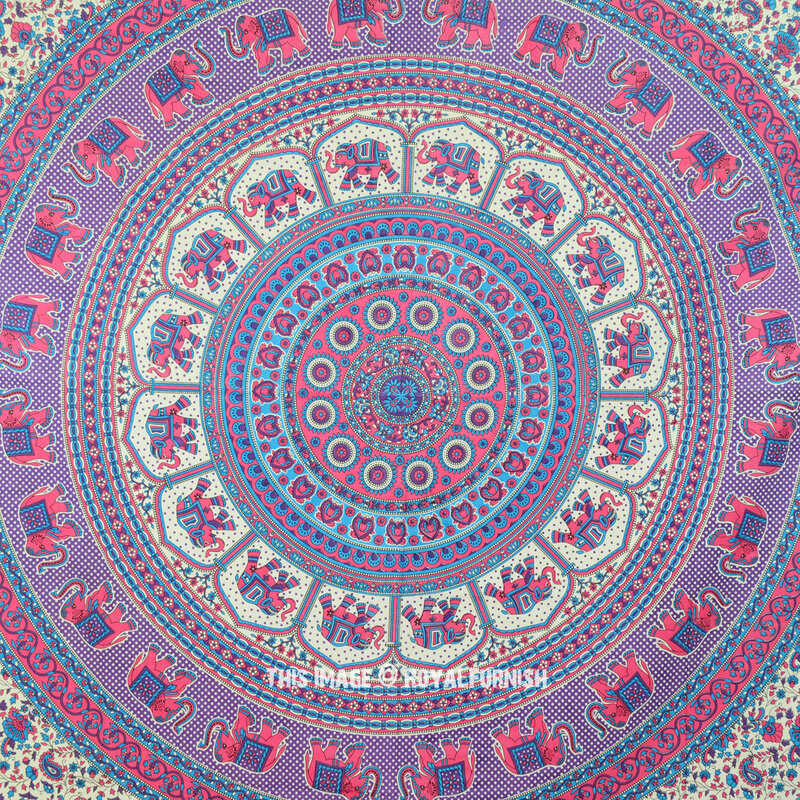 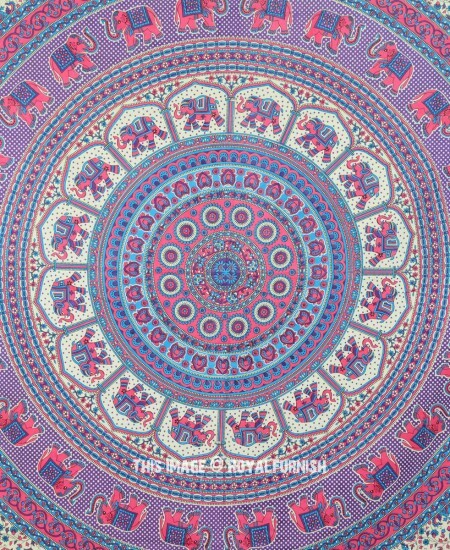 Blue & Pink Indian Elephant Hippie Mandala Wall Tapestry added to the cart!